These casters raise my Aeron chair just enough so that the center post doesn't drag on carpeting in my home office. Arrived quickly and produce seems well made. Perfect replacement casters for my Herman Miller Aeron Chair. New office had thicker carpet and this gave the chair the lift it needed to roll freely. Simple to swap as well. Would have been 5 star except for an initial problem on quantity. I have no problem with the product  but it was sent to the wrong place, to the billing address, rather than the shipping address. I bought these for my parents in Kansas City, and they arrived at my billing address in Boston. I was still in Kansas City at the time and had planned to install them. Instead I had to mail them back to my parents, and will have to install them in August when I return. Works great with Aeron chairs, takes seconds to install. These casters fit my Herman Miller Aeron chair exactly, and as I hoped, raised it off the floor about an inch higher than the original wheels so that the pole at the bottom of the chair no longer scrapes my chair mat (which sits on carpeting). Job done, and at a very fair price. Product was exactly as described, reasonably priced and shipped promptly. Great Lakes is a great supplier for my needs. Very pleased!! excellent quality of product.. The casters I ordered from Great Lakes work fine, and I fixed the problem with my chair for only $15. Why are the other vendors charging so damn much more???!!! These work fine, they've lasted several months and therefore will probably last many years. I simply could not afford to spend $75 on my chair with the other vendors. Thank you Great Lakes for giving me an option for fixing my chair that was feasible. The store was prompt and accurate in the order. I was very pleased. 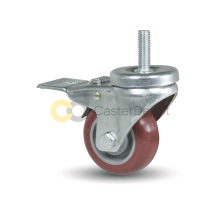 I replaced 20 smaller casters with the 75mm twin caster. They roll smoothly, turn softly and are everything I expected. I highly recommend them. These are quality units that performed exactly as advertised. Good quality. Good price. Shipping date somewhat mysterious. I will definately order again. They roll a lot better on carpet than little wheels. 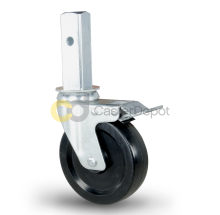 These larger 75mm casters roll much easier than the standard 50 mm casters. So far so good. Prices are excellent also. The chair I purchased came with casters with a height of 50 mm (2") and did not glide on my plush carpeting. 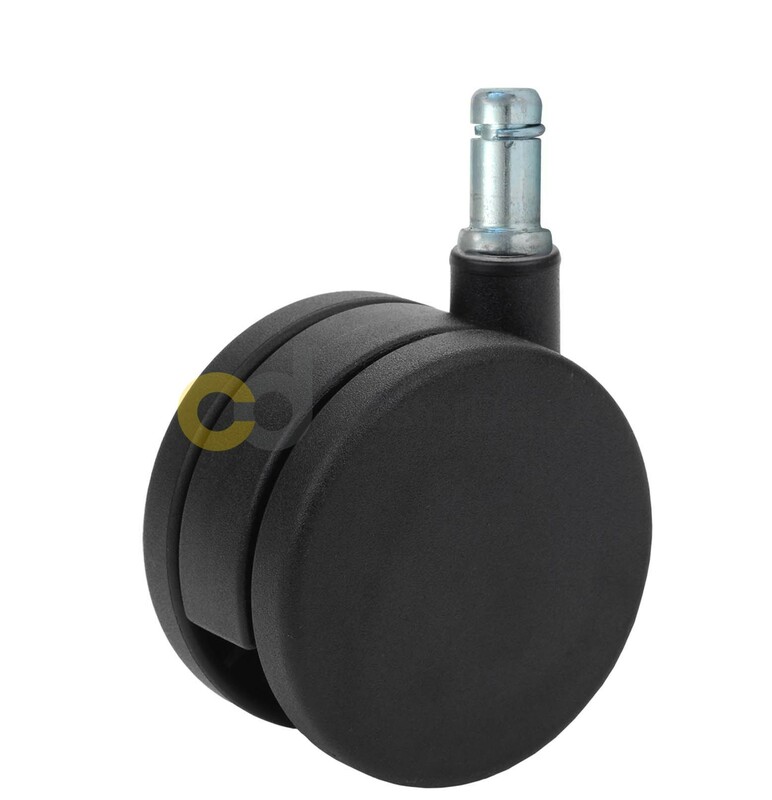 I ordered from Great Lakes casters with a height of 75 mm. The chair now glides on our thick carpeting thanks to the casters I purchased from Great Lakes. Highly recommend his company. Ordered on Friday online and UPS delivered on Tuesday! very happy with speed of service and the casters are great for my use. 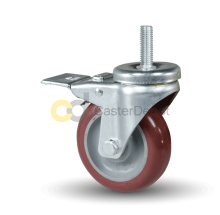 I was very empressed with how fast I received the casters after i had put in the order.And look like thay are well worth the price.I will do business with your company in the future. Fast shipping and good communication from GL Caster. 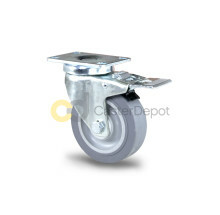 Casters are as described; price is very good. 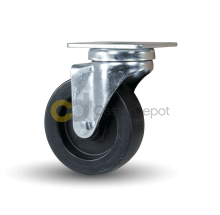 I might\'ve preferred casters with bearings, but these 3 in. 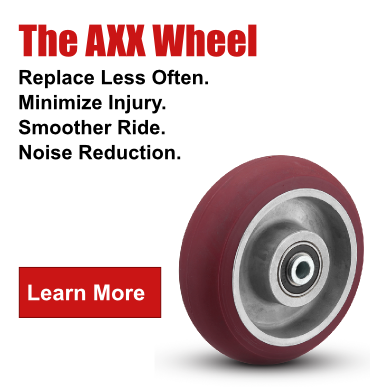 wheels do roll better than smaller ones, and low cost is tough to argue against. Fits Herman-Miller Aeron chair perfectly. Great bargain. 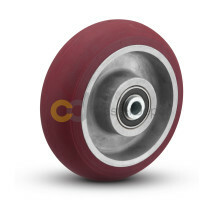 I am a little disappointed because the casters that I am replacing (because they are too small for my carpet) have ball bearings and the wheels spin freely. 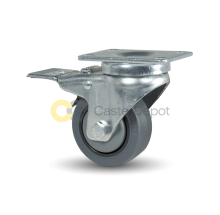 These casters do not and the specs do not indicate if they should or should not. However, I cannot fault this site because I went looking at other caster sites and none of them indicated this either. I guess I should have guessed that much because they are so affordable. My rating of 3/5 applies to the product only. I would rate the service at 5/5. The site is informative and laid out well, ordering was easy, and delivery was fast. I would definitely order from here again. I have kitchen chairs that are 15 years old that needed the casters replaced. I was very pleased to be able to get just what I needed at a great price GL Caster. To sweeten the deal the shipping was super fast. I will certainly recommend the company to friends and will order again if I need more. Just what I want abd very nice service! 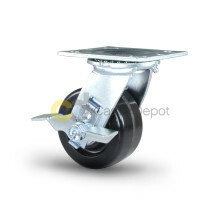 I ordered these casters as replacements for my dining room chairs. They are fantastic! 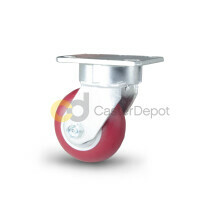 They look great and they roll smoothly over carpet, unlike the original casters. And the price was ridiculously reasonable compared to other sites. I ordered these to replace the wheels on my dining room chairs...they work perfectly and slide over carpet much better than the originals. I would absolutely order from this site again! Your casters solved my problem on my office chair. Very good product and quick shipping. I was well pleased. 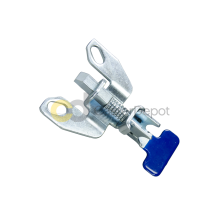 Product received promptly and exactly as described on your well designed and easy to use web site. You will be highly recommended to friends and associates who need similar products. This was a truly hassle-free purchase! Thank you.